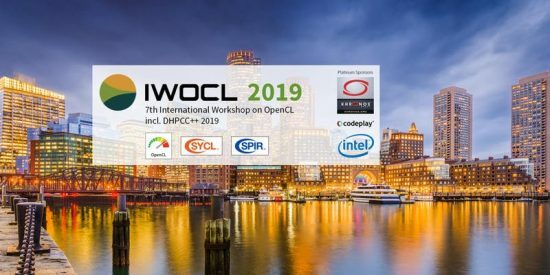 On Monday May 13, 2019 at 09:30 the latest edition of IWOCL starts, not taking into account any pre-events that might be spontaneously organized. This is the biggest OpenCL-focused event that discusses everything that would make any GPGPU-programmer, DSP-programmer and FPGA-programmer enthusiastic. What’s new since last year, is that it’s actually also more interesting place for CUDA-developers who like to learn and discuss new GPU-programming techniques. This is because Nvidia’s GTC has moved more to AI, where it used to be mostly GPGPU for years. Since it’s now the last week of the early-bird pricing, it’s a good time to make you think about buying your ticket and book the trip. Last year was in Europe, and this year’s edition is back in the USA. Northeastern University is hosting the conference spanning three days. It includes tutorials, many speakers and an always entertaining social event. For those who fly from Europe, look what https://flysmarter.de/ is suggesting, as they have some surprising suggestions for long flights. 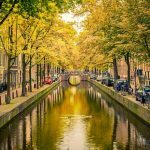 Another one that works for me well is https://skiplagged.com/flights/ams/bos/2019-05-12 that is quite strong with flights within the USA. Please share in the comments what you suggest other IWOCL-travellers! The talks are very diverse, as are the speakers. Personally I’ve gotten some very good insights from IWOCL talks. One thing they all have in common: they are about sharing practical experience and giving useful technical insights. More detailed information can be found on the IWOCL program page. Advanced Hands-On-OpenCL: don’t know the difference between OpenGL and OpenCL? Start here. DHPCC++ 2019: a mini-conference on how C++ in the future (and SYCL now) can be used to program GPUs. Probably the most interesting thing in this conference is meeting others. You’ll find writers of books (be sure to get your copy of “Heterogeneous Computing with OpenCL 2.0” signed, or buy it at the conference), makers of the tools who can answer why that one feature is not in there and very experienced developers who like to learn from you as much as you would like to learn from them. Want to know more? Go to the IWOCL homepage now. Use the below EventBrite ticket selection or go the IWOCL-page. 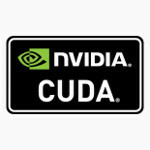 Question: do we work with CUDA? 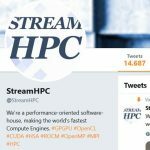 Mr. Vincent Hindriksen M.Sc is the founder of Stream HPC, a collective of performance engineering experts.